Some Display Posters of Batman: Arkham Knight! The types you see at the stores..
Make for great displays if you have the stand as well! The one on the left is a Promo Poster for the game and is made of some type of Canvas material. Tarpaulin I believe? 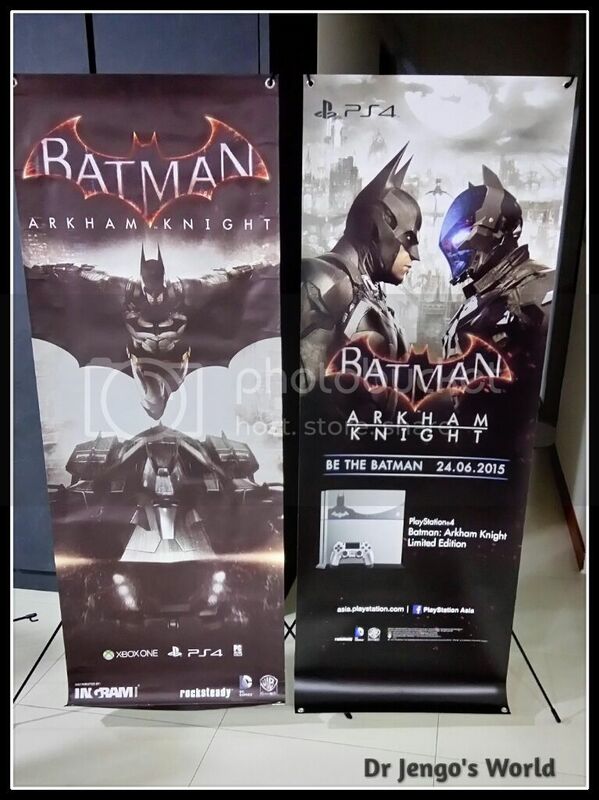 The one on the right is for the Batman Arkham Knight Limited Edition PS4 Console and made of normal poster material. Cool stuff! But I am running out of space to display these..